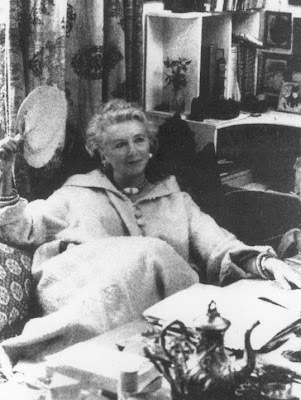 I pulled Lesley Blanch's two cookbooks to post at Cookbook Of The Day. It sent me spiraling down the Lesley Blanch rabbit hole and before I could stop myself, I was days behind in everything. I have a friend who has a litmus test for the ultimate of cool. 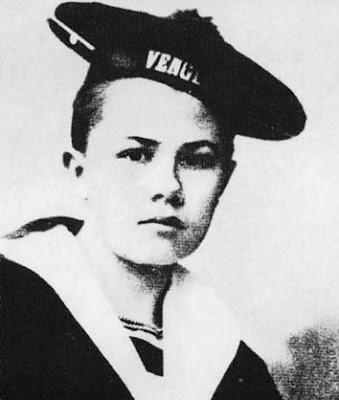 She believes that if you know who Isabelle Eberhardt is, then you are cool. Well, Lesley Blanch wrote the book on Isabelle Eberhardt and Isabel Burton, Aimee Dubucq de Rivery, and Jane Digby. The Wilder Shores of Love, published in 1954, told the story of four European women in the nineteenth century, who traded their comfortable life in the West to search of adventure and romance in the Middle East. 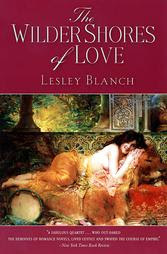 It was a search said Blanch, "for the wilder shores of love." The book remains in print to this day. Blanch attributed her stoic perseverance to her mother who always told her, " just get up and get on with it." And get on with it she did. She wanted to be a painter so she enrolled at The Slade School where Vanessa Bell, Dora Carrington and many other notables studied. 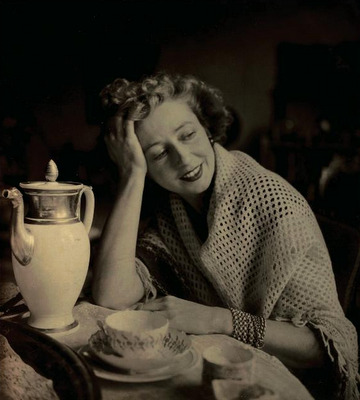 In the late 30's and early 40's she was the features editor at British Vogue. She rarely spoke of her first or second marriage. In 1945, she married French novelist and diplomat Romain Gary. The diplomatic couple traveled the world to the Balkans, Turkey, North Africa, Mexico and ended up in Hollywood -- which would be the end for them. In Hollywood, Gary met and fell in love with Jean Seberg. In the course of her life she would hobnob with Gary Cooper, Cecil Beaton, Aldous Huxley, George Cukor, David Selznick, Sophia Loren, Laurence Olivier, Charles Boyer, Truman Capote, Carson McCullers, André Malraux, Nancy Mitford, Jessica Mitford, the Shahbanou of Iran, the Duchess of Windsor, Igor Stravinsky and Rebecca West, to name a few. It is said that Marianne Faithfull was inspired by Blanch's writing and used her famous title for one of her songs. In 1994 her house burned to the ground, taking with it a lifetime of acquisitions from around the world. As a book collector who fears fire I can only lament the lost of hundred of rare and one-of-a-kind volumes, not to mention her own art work. Fortunately the cats survived. In true fashion, she rebuilt and hearing her mother in her head she just got up and got on with it. Round The World in 80 Dishes. In May, 2007, one month before she turned 103, Lesley Blanch died. Our society loves to glorify teenagers but if there was ever a woman to glorify and have as a role model, it would have to be Lesley Blanch. No one did more with their mother's advice than Blanch. 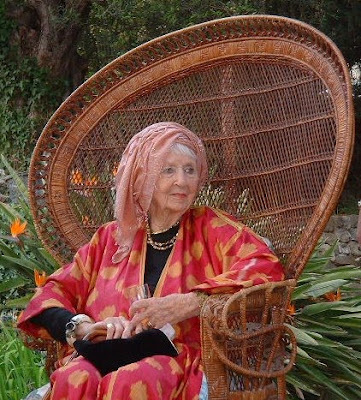 On those truly horrible days, I think of her, gorgeous and independent at 102 and I " just get up and get on with it." Thanks for making me cool at last. Think that I better check out The Wilder Side of Love. Enjoyed the Marianne Faithful song, too! Beverly: You are looking rather cool! little augury: Mind's Eye is as close to a bio as there is, though she tends to fudge a bit with her own details. She is just ripe for a bio! Ann: Do get Wilder Shores of Love, it is quite an adventure. Love this post, listened to Marianne Faithfull's song, just ordered the book, have saved your blog to my favorites - God, I love the internet!